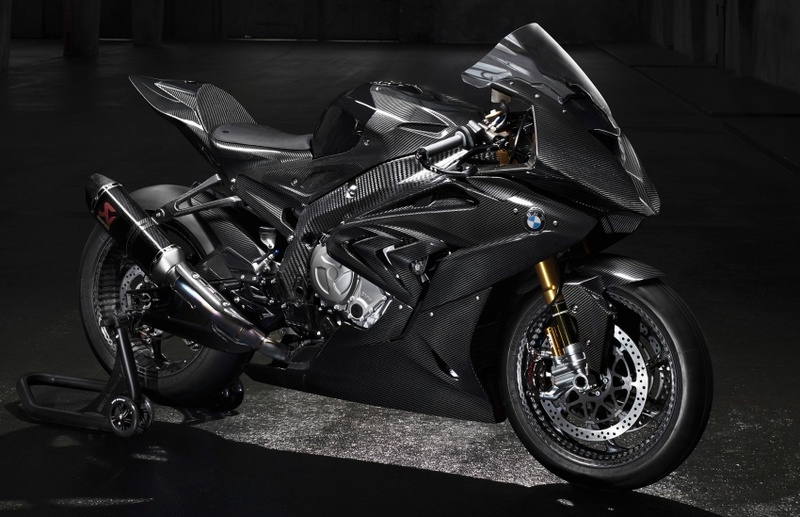 It appears as if Ducati is not the only player in the game with the 1299 Superleggera‘s carbon fibre frame, as BMW Motorrad has stepped up with the BMW HP4 Race prototype. Revealed during the EICMA show in Italy, the HP4 Race displays a carbon fibre frame, along with a fairing, tailpiece and wheels made from the same material. The standard HP4 carries a 999 cc inline-four cylinder with 16 titanium valves that puts out 193 hp at 13,000 rpm and 112 Nm of torque at 9,750 rpm. The HP4 uses BMW Motorrad’s Dynamic Damping System (DDC), along with traction control and ride modes. The Aprilia MotoGP team will run a special livery at this weekend's Valencia season finale, to celebrate the Piaggio Group's support for (RED). Founded in 2006 by Bono and Bobby Shriver, (RED) has contributed $360 million to the Global Fund in the battle against AIDS, Tuberculosis and Malaria. These funds have arrived in Ghana, Kenya, Lesotho, Rwanda, South Africa, Swaziland, Tanzania and Zambia. 100% of the resources have been invested in Africa to finance programmes intended to fight HIV/AIDS. (RED)'s support for the Global Fund has had an impact on more than 70 million people with prevention, treatment and consulting operations, as well as HIV tests and assistance services. The hashtag #iRideRED has been created to coincide with the Valencia race. 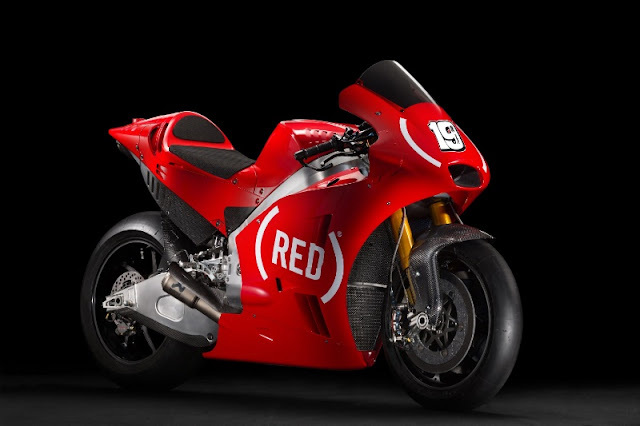 Aprilia Racing and the Piaggio Group thanked their partners, sponsors and riders for agreeing to the creation of the special livery, which will see not only the machines but also the entire team in (RED). The Ducati Desmodue V-twin, thought to have had its final hurrah with the Ducati Scrambler series machines, has made a comeback with the 2017 Ducati Monster 797. Carrying an 803 cc Desmodue Euro 4-compliant engine, the Monster 797 is a return to roots of the original 1992 Monster 900, somewhat. Producing 75 hp at 8,250 rpm and 69 Nm of torque at 5,750 rpm, the Monster 797 is now the “baby” Monster in the range. Designed to be fun and accessible to all riders, new or old, the Monster 797 uses Bosch ABS, and brakes use a pair of Brembo M4.32 radial-mounted calipers. Suspension is by Kayaba and Sachs, front and rear, respectively. The front fork is a Kayaba 43 mm upside-down unit, non-adjustable, while the rear is a Sachs absorber with adjustable pre-load and rebound. Full LCD instrumentation graces the cockpit, and LEDs are used for the side-lights and tail light, with a USB port tucked under the seat for charging electronic devices. 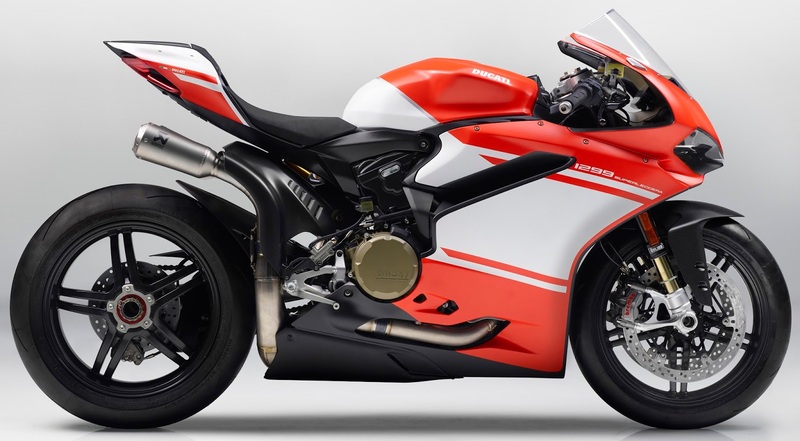 The Monster 797 is also ready for for the Ducati Multimedia System, which is an extra-cost option. Three colour options are available – Ducati Red, Star White Silk and Dark Stealth. For the rest of the Monster family, the Monster 821 continues on with its liquid-cooled 821 cc Testastretta engine that produces 112 hp. Two versions are available – the Monster 821 in Ducati Red and Dust Grey, and the Monster 821 Stripe that comes in dedicated graphics omits the passenger seat cover. 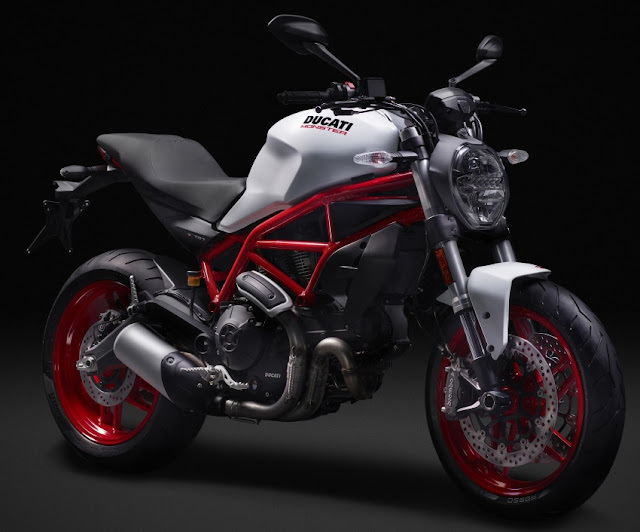 At the top-of-the-range, the Monster 1200 is available in three versions – the Monster 1200, 1200 S and 1200 R. The 1200 and 1200 S come with the Testastretta 11 DS engine that displaces 1,198 cc and produces 150 hp at 9,250 rpm and 126.2 Nm torque at 7,750 rpm. 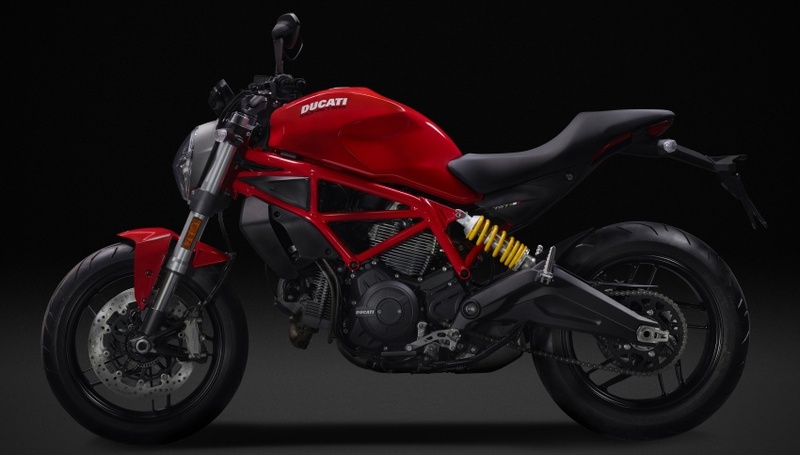 The Ducati Monster 1200 only comes in Ducati Red, while the 1200 S can be had in Ducati Red or Liquid Concrete Grey. The 1200 S gets fully-adjustable Ohlins suspension along with Brembo brakes and quickshifter, while the base 1200 makes do with Kayaba forks in front and a Sachs absorber in the rear. Sitting at the top of the range is the Ducati Monster 1200 R, which boasts of 160 hp at 9,250 rpm and 131 Nm of torque at 7,750 rpm from its version of the Testastretta engine. Coming in Ducati Red or Thrilling Black, the Monster 1200 R comes with fully-adjustable Ohlins, as well as an Ohlins steering damper, plus Brembo brakes, quickshifter, forged wheels and a performance exhaust. The Multistrada 1200 now has a sibling, the 2017 Ducati Multistrada 950, which was launched at the EICMA show in Milan, Italy. Carrying a 937 cc Testastretta 11 V-twin engine with 113 hp at 9,000 rpm and 96.2 Nm at 7,750 rpm, this new Multistrada takes firm aim at the 2016 KTM 1050 Adventure. Drawing on the DNA of the Multistrada 1200, the 2017 Multistrada 950 is lighter than its big sister, and has a lower 840 mm seat height, with 820 and 860 mm seats available as options. Suspension travel is a suitably long 170 mm front and rear, and suspension duties are done with Kayaba forks and Sachs rear shock. Coming standard with the Ducati Safety Pack that includes Bosch 9.1 MP ABS with three settings, the Multistrada 950 also has four riding modes – Sport, Touring, Urban and Enduro – as well as eight-level Ducati Traction Control (DTC). Riders also have the option of user customised traction modes, which can be combined with the ride modes. Fuel is carried in a 20-litre tank, and all LED is used at both ends of the Multistrada 950. 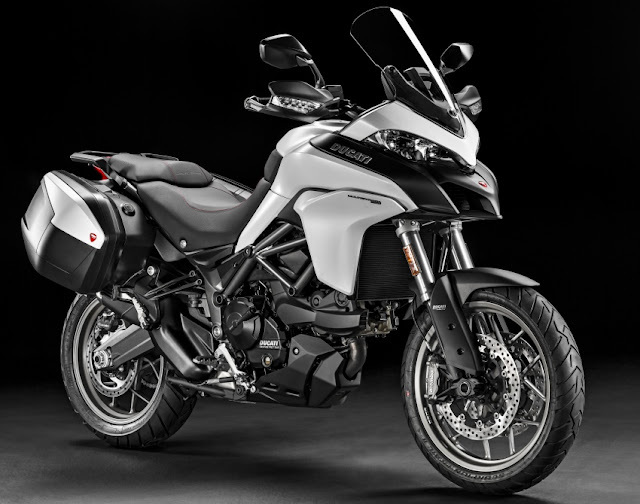 The new frame and rear sub-frame is designed to give the Multistrada a slimmer profile in the middle, combined with the seat taken from the Multistrada 1200 Enduro. While Malaysia still awaits the official release of BMW’s “baby” Motorrad, the G310 R, BMW has announced the international arrival of the dual-purpose styled 2017 BMW G310 GS. 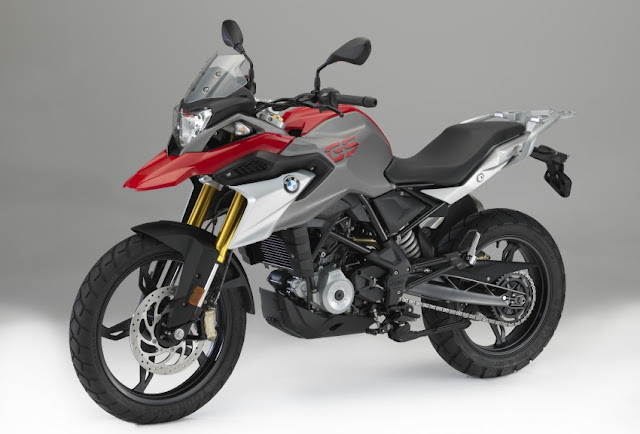 Drawing heavily on BMW’s heritage of Gelande/Strasse (land/street) machines, the G310 GS looks like smaller version of the massive R1200 GS overlander machine. Using the 313 cc DOHC liquid-cooled single-cylinder that is used in the G310 R, the G310 GS has 34 hp at 9,500 rpm on tap, with 28 Nm of torque at 7,500 rpm. All this pushes a package that weighs 169.5 kilogrammes, which is a DIN number, not a manufacturer’s claim. Two-channel ABS – which can be user deactivated – comes standard, and suspension is with upside-down forks and a monoshock in the rear. 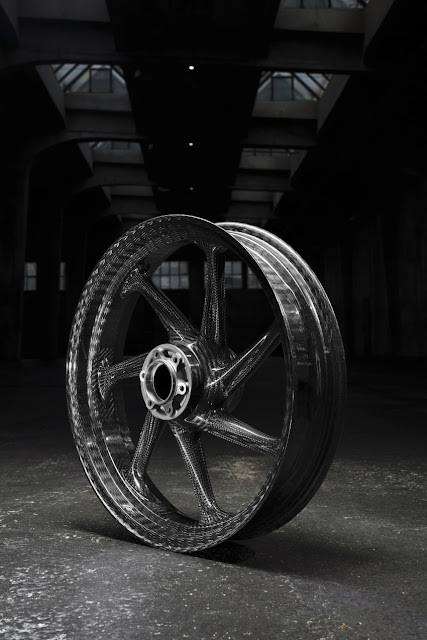 The front wheel is a 19-inch unit, while the rear wheel uses a 17-inch hoop, held by an aluminium swingarm. BMW Motorrad has not indicated when the 2017 G310 GS will enter the market, or what the likely pricing might be. It should be noted that the G310 GS is designed to be an all-markets machine, which means the engine meets all worldwide regulations. Without much fanfare, Kawasaki has released the 2017 Kawasaki Versys-X 250, a small displacement. dual-purpose style sports-tourer. Two versions are available – the stripped-down Versys-X 250, and the fully-loaded Versys-X 250 Tourer, which comes with panniers. The Versys-X uses a 249 cc liquid-cooled, parallel-twin DOHC engine, but Kawasaki hasn’t revealed output numbers for the bike. However, based on the Kawasaki Ninja 250R, it’s safe to assume that the engine on the Versys-X won’t veer far from the 250R’s 29.9 hp at 10,500 rpm and 21.7 Nm torque at 10,000 rpm. Single brake discs are mounted front and rear, with a Nissin four-pot caliper in front. 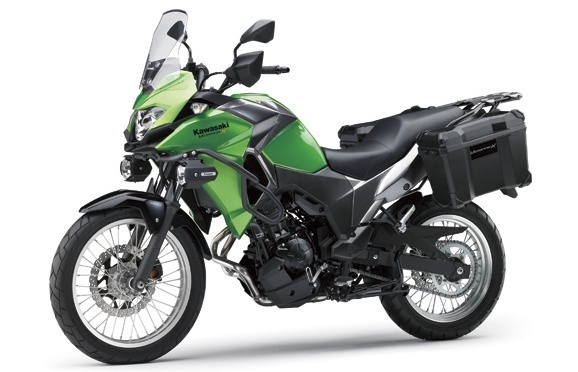 The Versys-X 250 comes in both ABS and non-ABS versions, while the Versys-X 250 Tourer features ABS as standard. Standard telescopic forks hold up the front end, with what looks to be at least 170 mm of suspension travel, while a single shock absorber suspends the rear end. Spoked wheels are fitted front and back, the front using a 19-incher while the rear has a 17-inch wheel installed. The Versys-X 250 Tourer also comes with a brush guard and twin auxiliary driving lights. Both versions have a twin-throttle valve intake, and a slipper clutch as standard fitment. After the recent launches of the Street Cup, T100 and T100 Black and Bonneville Bobber, Triumph has added another model to its Modern Classics range, the 2017 Triumph Street Scrambler. Using the basics ofStreet Twin, the Street Scrambler carries on the mantle of the previous generation T100 Scrambler, but better. Taking the retro-styled Street Twin as a base, the Scrambler utilises a 900 cc parallel-twin liquid-cooled engine which puts out 54 hp and 80 Nm of torque at 5,900 rpm, driving a five-speed gearbox. While 54 hp may not sound like much, the high-torque Triumph power plant has 22% more ponies available from 2,750 to 4,750 rpm than the previous generation engine. The new Triumph Street Scrambler comes with specific options unique to the bike, evoking the classic image of Steve McQueen and BMX 822 B, the 1964 Triumph TR6 SC he campaigned in the International Six Day Trials competition in East Germany. First off are the twin high-swept exhausts, which follow the waisted form of the Street Scrambler closely. A new frame is utilised for the Street Scrambler, along with a longer travel front and rear suspension. Rolling on a 19-inch front and 17-inch rear wheels, the Scrambler comes shod with Metzeler Tourance tyres, the chunky enduro-style rubbber fitting the look of the bike. Other items unique to the Street Scrambler are a ribbed Alcantara seat with contrast stitching and an embossed Triumph logo. The pillion seat pad is removable and can be substituted with an aluminium rear rack, both of which are supplied with the bike at purchase. Off-road style “bear-trap” footpegs are standard for the rider, along with model-specific knee-pads, an aluminium bash plate and a number plate side panel on the left. 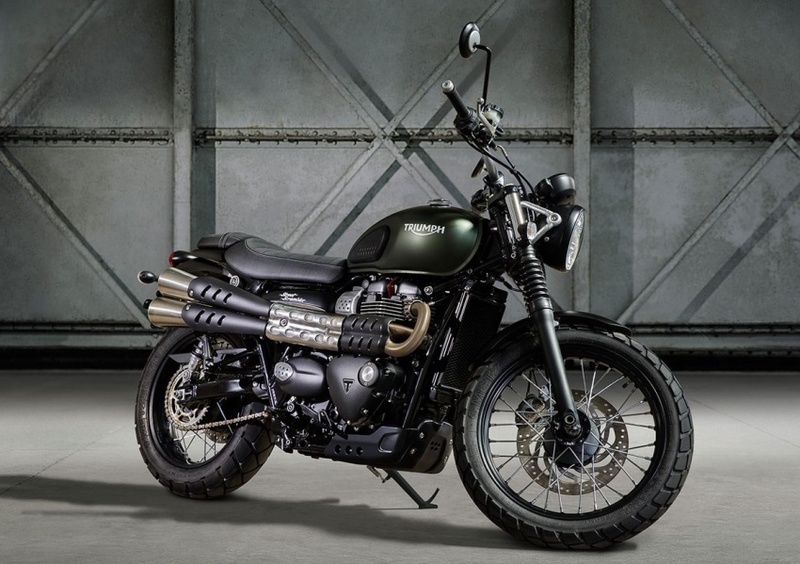 The Street Scrambler comes in three colour choices – Jet Black, Matte Khaki Green and Korosi Red/Frozen Silver with hand-painted Jet Black coach lining. Triumph has not released any details on availability or pricing for the 2017 Street Scrambler, but we were informed by sources at Triumph Malaysia that the bike will be in showrooms for the European Spring riding season. In Malaysia, the 2016 Triumph Street Twin retails for RM55,000, including GST. 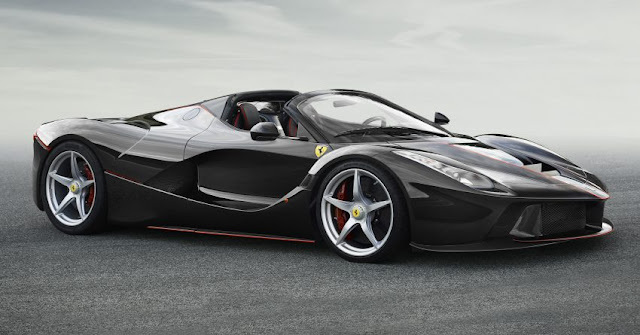 So far, the only road-going Ferraris that use hybrid power are the LaFerrari and the LaFerrari Aperta, but from 2019 onwards, new models will receive some form of electrifications to improve performance, according to a report by Autocar UK. Ferrari CEO Sergio Marchionne explained in a conference call to investors that the combination of an internal combustion engine and electric power will help to not only make cars faster, but also improve efficiency. The F12’s successor, which is expected to arrive in 2020, could be the first mainstream Ferrari to employ a hybrid powertrain. The report also points out that Ferrari had patented a common architecture for future models, which are able to travel up to 48 km on electricity alone. Aside from the replacement for the F12, the platform could also be used to underpin other models, including entry-level ones. Ferrari recently announced a joint development project with Altair Product Design on a next-generation vehicle platform. Ferrari’s experience with electrification was previously exhibited with the 599 HY-KERS concept from the 2010 Geneva Motor Show, which featured an electric motor integrated with the car’s dual-clutch transmission, powered by two lithium-ion battery packs. After the unveiling of the 2017 Honda CBR1000RR SP and SP2 at the Intermot show in Cologne, Germany, last month, Honda has now shown its “basic” superbike, the 2017 Honda CBR1000RR Fireblade. 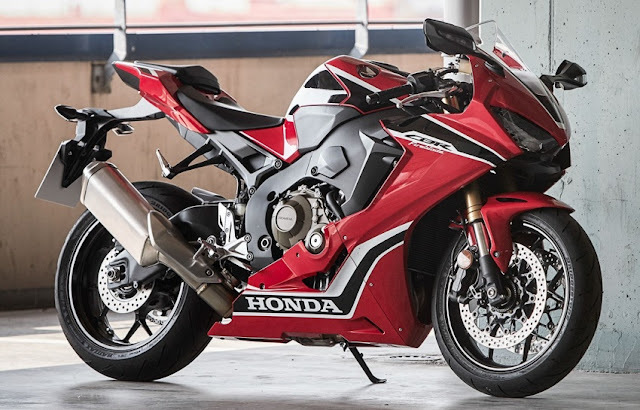 The welcome return of the Fireblade moniker shows that Honda is indeed serious about wresting the superbike crown back from the likes of Kawasaki and Ducati, after letting the previous-generation CBR1000RR languish for almost six years. Using the current iteration of the Honda’s famed one-litre inline-four, the 2017 Fireblade boasts of 189 hp driving 196 kg, numbers which are similar to the CBR1000RR SP and SP2. Missing is the Ohlins semi-active suspension from the track-oriented SP and SP2, and the Fireblade makes do with Showa’s Big Piston Fork (BPF) and Balance Free Rear Cushion (BFRC) shock absorber at the front and rear, with forged wheels, respectively. Electronics abounds on the 2017 CBR1000RR Fireblade, as it does with its higher-end SP siblings. Nine-level traction control is standard, as is three rider modes, while a new cornering ABS unit makes an appearance along with wheelie and rear-wheel lift control. Tokico four-piston calipers are substituted for the Brembo units found on the SP and SP2, as well. The Fireblade’s riding mode has three settings – Track, Winding and Street – which use different combinations of ride-by-wire throttle response, engine power and engine braking. All information comes through a full-colour TFT-LCD instrument panel that adjusts automatically to ambient light, and LED lighting is on display, front and rear. As posted yesterday, the EICMA show in Milan, Italy saw the official launch of the limited edition 2017 Ducati 1299 Superleggera, also known as Project 1408. As the word “Superleggera” – superlight – means, the 1299 Superleggera is absolutely dripping in carbon-fibre. 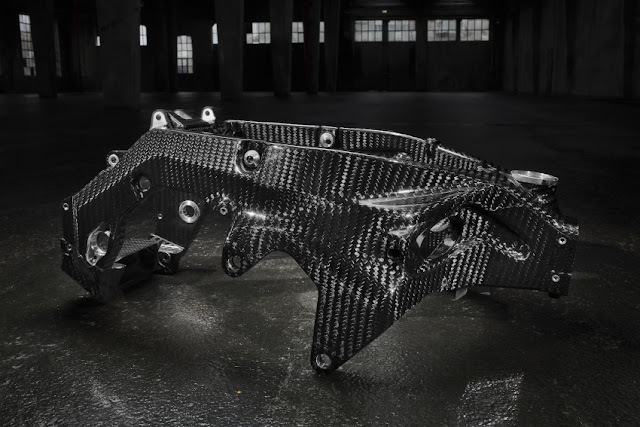 From the monocoque frame, swingarm, wheels and fairing, carbon-fibre is used to achieve lightness. This extends to the aluminium fuel tank and the engine internals, which use a mix of aluminium cylinder liners, titanium valves and a lightened crankshaft with tungsten weights. On the engine itself, the Desmodromic 1,285 cc Superquadro engine puts out 215 hp at 11,000 rpm, and 146.5 Nm of torque at 9,000. Fed by Mitsubishi EFI with two injectors per cylinder, the 90-degree V-twin features ride-by-wire elliptical throttle bodies with flow-optimised intake trumpets. A full suite of electronics comes with the 2017 1299 Superleggera, including ride and power modes, cornering ABS, Ducati Traction Control EVO (DTC EVO), Ducati Wheelie COontrol (DWC), Ducati Slide Control (DSC), Ducati Power Launch (DPL), engine braking control (EBC) Ducati up/down Quick Shift (DQS). All the acronyms are controlled by a Bosch six-axis inertial measurement unit (6D IMU) – something we saw and put to good use on the 2016 Ducati Multistrada 1200 we tested earlier this year. 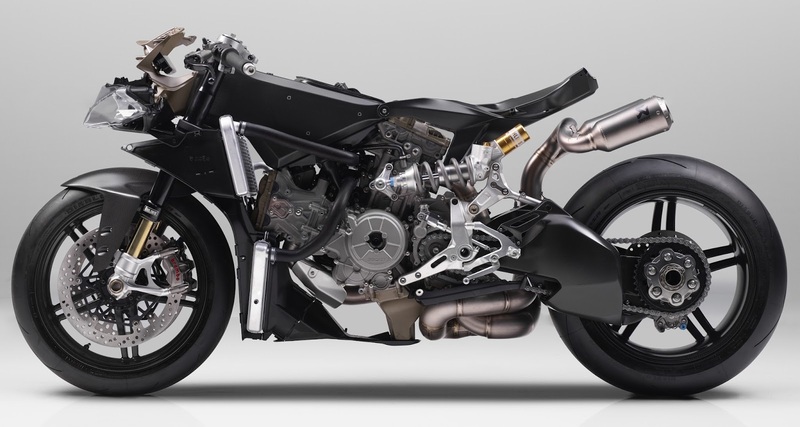 As part of the 1299 Superleggera’s race kit, a complete titanium Akrapovic exhaust is provided, along with all the bits necessary to make the bike track ready. Suspension duties are taken care of by Ohlins, with a fully-adjustable 43 mm FL 936 fork in front, and TTX36 rear shock absorber, also fully-adjustable. Braking is by Brembo, with twin 330 mm floating discs clamped by radial-mounted Monobloc Evo M50 four-piston calipers actuated by a Brembo MCS 19-21 adjustable-ratio master cylinder. The aluminium fuel tank holds 17 litres, and seat height is a race-ready 830 mm. 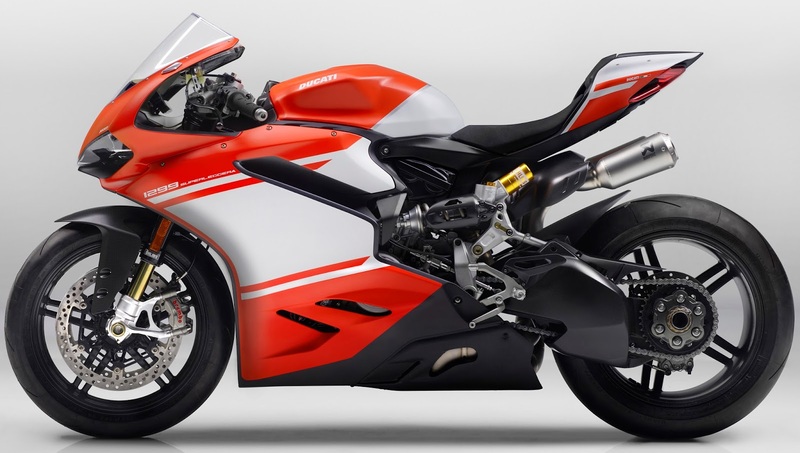 Wet weight is claimed to be 167 kg, which puts the 1299 Superleggera exactly one kilogramme under the weight limit for the World Superbike championship. After 9 years, 106 podiums, 43 victories, 38 pole positions and 3 world championships, Jorge Lorenzo will start his final MotoGP race for Yamaha at Valencia. The Spaniard is switching to Ducati next season and will make his debut in the post-race test. But first he hopes to sign off with one more Yamaha win, a result that would also end a ten-race losing streak for Japanese manufacturer. "It'll be a very emotional moment, because nine years in the same team, that gave me so much," Lorenzo said. "So that's why I'm fully motivated to train as hard as possible and to finish with a win in Valencia. For sure it won't be easy, because the competition will be very close, but we are going to try." 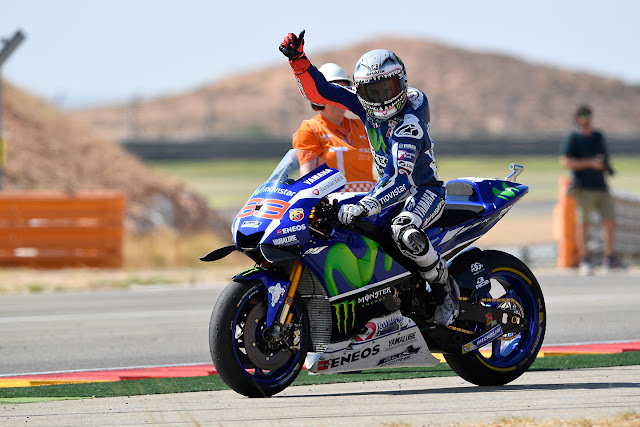 Lorenzo sealed his third world title by leading last year's Valencia race from start to finish. 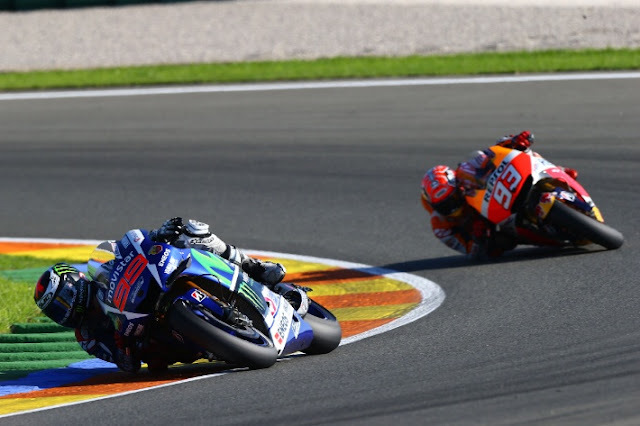 The Spaniard looks set to finish third in this year's championship, being unable to catch Marc Marquez and Valentino Rossi ahead of him, but holding a 17-point lead over Maverick Vinales. Vinales will then take over Lorenzo's M1 seat, alongside Rossi, at the post-race test. "The new season will start on Tuesday after Valencia and it will be very interesting because we will see for example Lorenzo with the Ducati and Iannone with the Suzuki," Rossi said. Intermediates could be dropped from Michelin's MotoGP tyre line-up next season. 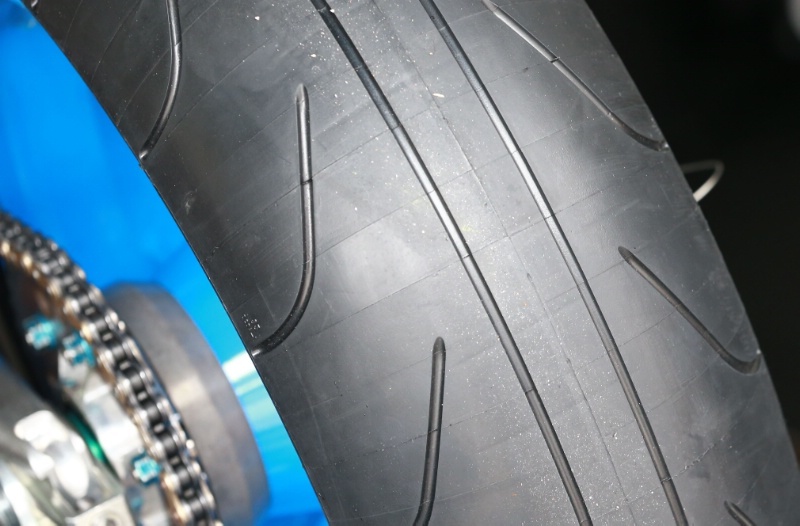 While Bridgestone only offered a choice of wet or slick tyres during its tenure as exclusive supplier, Michelin has made the third type of tyre available for its return season. However there is only a brief time window when track conditions are not better suited to either wets or slicks. That means intermediates are normally more appropriate should mixed conditions occur in practice and especially the short 15-minute qualifying sessions. “For our team the intermediate doesn't exist. We go from wet to dry. Otherwise it is a big confusion and how do I tell the team [during a race] 'I want intermediate or I want slick?'" Discussions are underway between Michelin, the manufacturers and riders as to whether intermediates should continue to be part of the tyre allocation in 2017. "[They] don't change a lot. We discover that the window of the intermediate is very narrow. And also from my point of view the Michelin on the mixed [track] conditions are less dangerous than the Bridgestone; they are a little bit more safe. So I think we can do without the intermediate. But anyway, it's not a big difference." 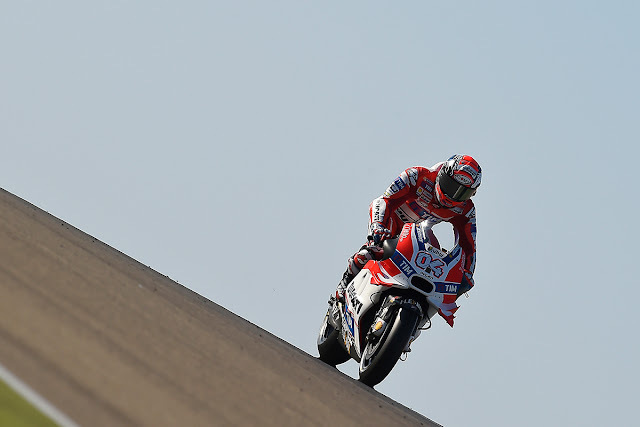 But fellow Sepang podium finishers Andrea Dovizioso (Ducati) and Jorge Lorenzo want intermediates to stay, although the Italian felt they could be excluded from the race choice, presumably to avoid confusion about which tyres have been fitted during a mid-race bike swap. 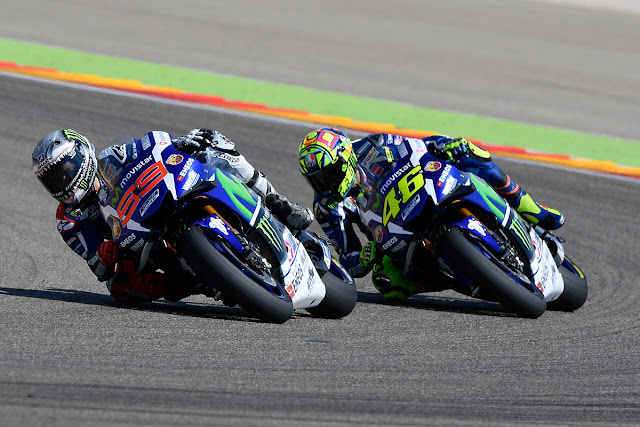 "I have a different opinion [to Rossi]. I think the intermediate is good for the safety, like in Phillip Island when the temperature is very low and the tyre is quite hard because the consumption is very high," said the Sepang winner. "I think when it's half [wet] and half [dry], it's safer. In my opinion we have to keep, and maybe to not use in the race. But it's not so important." Lorenzo also felt intermediates have a role to play in practice and qualifying. "I have more or less the same opinion as Andrea, because in Phillip Island, for example in qualifying, I used both; intermediates and slicks. 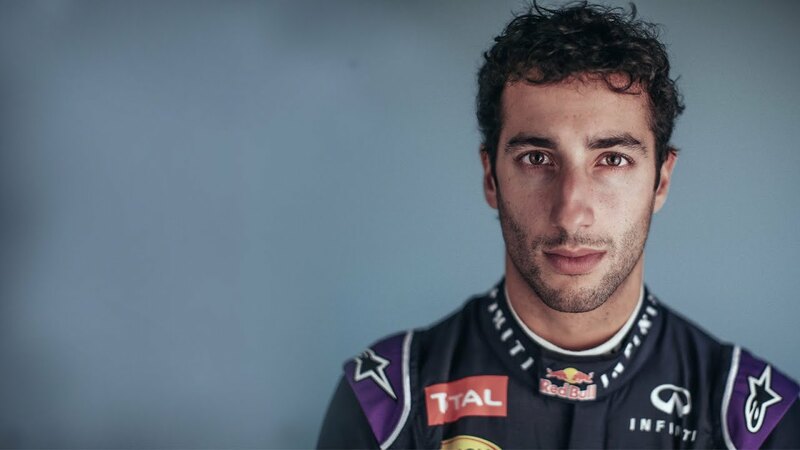 And I feel much better with the intermediates, because the slicks in cold conditions and with some patches of water were very difficult to warm up and in qualifying I got temperature in the tyres," he said. “There is a lot which from one side you need to say 'heat of the moment', you have to be a bit lenient with it. But if your instinct is to hit the radio button and start spurting a whole lot of stuff, you have to be more sensible than that. “I definitely sense he's been more frustrated this year. He's shown it in the past that he can be quite emotional, but this year it seems to be a bit more. In the moment it's easy to just press that radio button and say a whole load of things, but we all know that it can get broadcast. 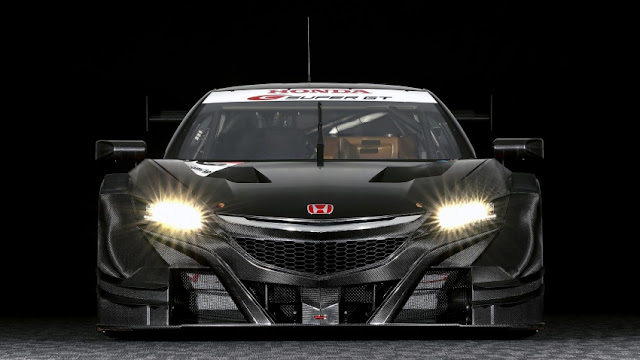 Jika sebelum ini Honda pernah menunjukkan Honda NSX versi lumba GT3, kini syarikat itu memperkenalkan pula NSX-GT. Beanya, NSX GT3 menggunakan enjin 3.5 liter V6 Twin Turbo daripada kereta produksi, sementara NSX-GT pula menggunakan enjin empat silinder 2.0 liter turbo seperti yang telah ditetapkan oleh Super GT. Pacuannya masih lagi sama iaitu dua roda belakang. 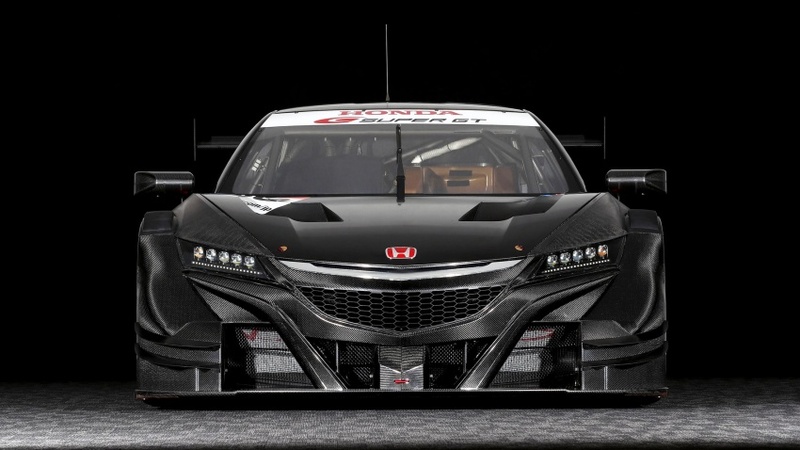 Saiz enjin pada NSX-GT memang lebih kecil berbanding NSX GT3, tetapi ia tetap berkuasa dengan jumlah maksimum boleh mencapai sehingga 590hp. Dan sudah tentu, kit aerodinamik lengkap digunakan pada kenderaan ini, malah lebih lagi berbanding NSX GT3. Pembelah angin hadapannya lebih besar dan pada lengkuk roda terdapat beberapa salur udara. Pada bahagian belakang, lampu NSX versi produksi masih lagi digunakan, sementara sayap belakang yang besar dan kehadiran diffuser menambahkan lagi keberkesanan manipulasi angin di belakang. 1. Over the past week, I have been overwhelmed by the warmth of the reception Malaysia’s delegation has received during our time in China. From the welcoming ceremony at the Great Hall of the People, with the guard of honour and 19 gun salute, to the one-on-one meetings with both their Excellencies President Xi Jinping and Premier Li Keqiang, and the special banquets they accorded us – our hosts showed just how important the relationship is between China and Malaysia. 2. As the son of the first leader in the region to recognise the People’s Republic of China and open diplomatic relations, Prime Minister Tun Abdul Razak, I am delighted our two countries have never been closer. This week’s visit has enhanced our friendship in many key areas, including trade, defence, security, culture and people-to-people connectivity. 3. The many agreements we have signed will have deep and lasting benefits for Malaysia. Just one example is the East Coast Railway Line, which will completely transform the East coast of Peninsular Malaysia and ensure that the fruits of our country’s development are equitably shared. The railway will be the foundation of a new growth corridor for Malaysia. 4. Another example is the Trans Sabah Gas Pipeline, that will provide energy security, and accelerate further state economic development for Sabahans. 5. And the renewal of our defence cooperation agreement, ‎combined with the first significant defence deal between our two countries with the construction of four littoral mission ships, will deepen security ties between our two nations. We need to work shoulder to shoulder to counter security and extremist threats in our region. 6. Together, the 14 business to business Memorandums of Understanding and agreements we have signed are alone worth RM 143.64 billion. And, in addition, we signed a further 16 government to government Memorandums of Understanding and agreements. Combined, this is a huge vote of confidence in each others’ economies, and the goodwill and trust that has been built up between China and Malaysia. 7. However, there seem to be some who don’t appear to welcome this investment in the Malaysian economy, and don’t seem to want the resulting jobs, skills and improvement in people’s lives. Some have scaremongered that Malaysia is being sold off. This is absurd and absolutely false. 8. 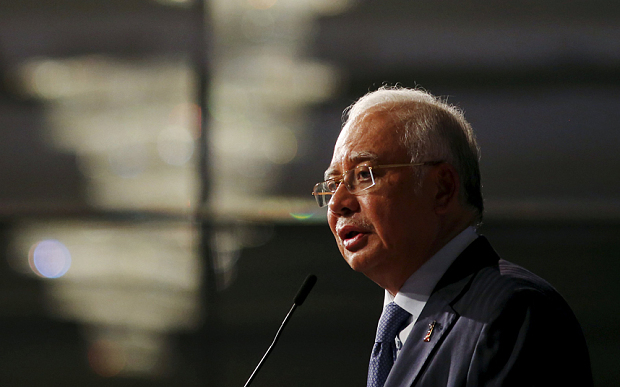 The infrastructure projects will remain owned by Malaysia and operated by Malaysians. But for our mutual benefit, we are building them in partnership with our Chinese friends, just as Malaysian firms are in joint ventures in cutting edge projects all over China. 9. These agreements will boost our economy and help all Malaysians have better opportunities and a more prosperous life. For these agreements are truly for all our people. They are just as much for the thousands of swiftlet farmers and half a million oil palm smallholders as they are for well-known corporations. 10. The agreements will result in ever stronger economic ties between China and Malaysia, and bring tangible benefits to our people for decades to come. Not just new jobs and improved transport, but also more sustainable power sources and greater security along our coastline. 11. I had the privilege this week of meeting some of the finest leaders in China from all sectors. We have much to learn from them, and even more from working in partnership with them. We will follow up, for example by cooperating with some of China’s biggest digital industry leaders to further develop Malaysia’s digital economy. 12. China and Malaysia’s relationship is special, based on a shared culture yet with mutual respect for our differences. It is a matter of great personal pride that ties between our two countries – and our peoples – have grown significantly since I became Prime Minister in 2009. 13. I am confident that the relationship between our countries will continue to go from strength to strength as both nations assume their rightful role – driving progress and development together in this, the Asian Century. 14. I would like to express my sincere gratitude again to our Chinese hosts for a groundbreaking visit. We look forward to offering our own hospitality in return very soon. 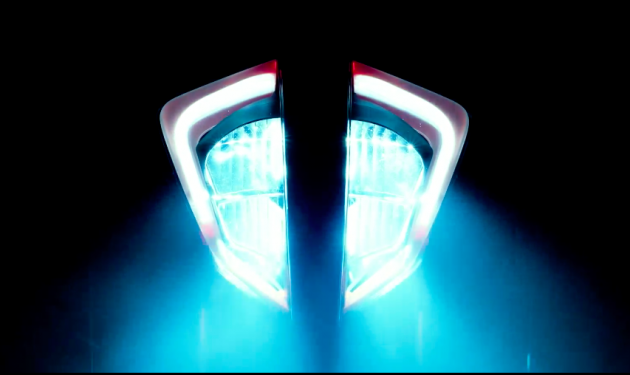 A teaser video has appeared on the ktmdukes web page, showing a bisected headlight, surrounded by what looks like daytime running lights. Could this be the face of the new KTM Duke, scheduled for launch at the EICMA show in Milan this November? 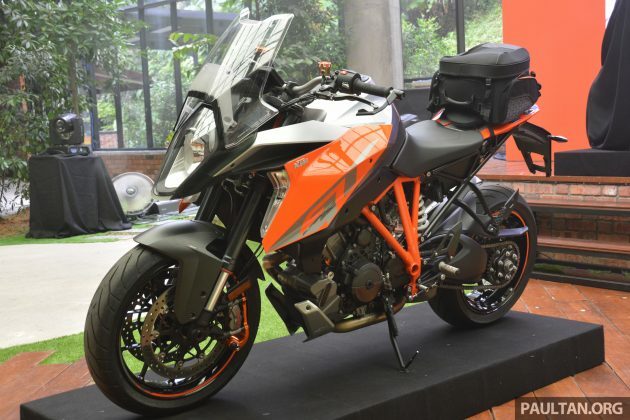 It might be the 890 Duke, rumoured to be making its way to the market soon. If so, it addresses a gap in the Duke range that currently sees a massive jump from the twin-cylinder 1,290 cc Super Dukes to the Duke 690 with its thumper. KTM’s Duke family of naked sports machines come in V-twin and single-cylinder flavours, and covers a range of displacements from 1,290 cc down to 125 cc. The range-topping 1290 Super Duke R Special Edition is a fire-breathing beast that scares even experienced riders, with the Duke R not that far behind. Down the range, there is the Super Duke GT, a sports-tourer, and various hooligan machines like the Duke 690, Duke 390 and Duke 250. KTM machines have proven to be popular in Malaysia, due to the attractive price-to-performance ratio the brand offers. 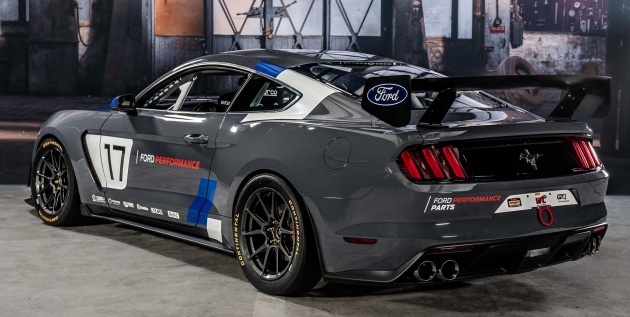 It’s not just custom pony cars at the 2016 SEMA Show, as Ford Performance unveiled its new, track-ready turnkey Mustang race car at the annual Las Vegas exhibition. The Ford Mustang GT4 has been designed and engineered jointly by Ford Performance and Multimatic Motorsports to compete in sports car championship racing series globally, including the GT4 European Series. The Mustang GT4 puts Ford head-to-head with established race cars from Porsche and Aston Martin – in a mirror of the FIA World Endurance Championship, where the Ford Chip Ganassi Racing Ford GTtakes on the Aston Martin Vantage GTE, Porsche 911 RSR and Ferrari 488 GTE. 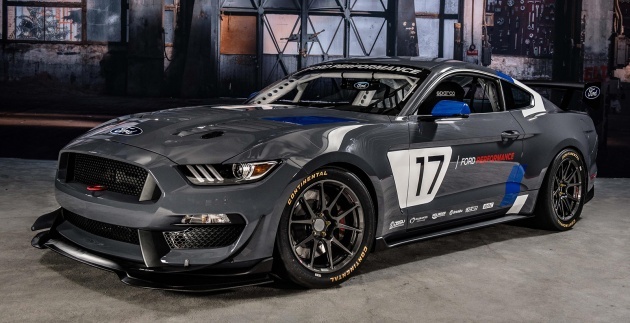 The race Mustang is inspired by the Ford Shelby GT350R-C that won the IMSA Continental Tire SportsCar Challenge championship in the US last month. “As the Mustang nameplate continually expands its presence in markets throughout the world, so does our relevant motorsport presence. 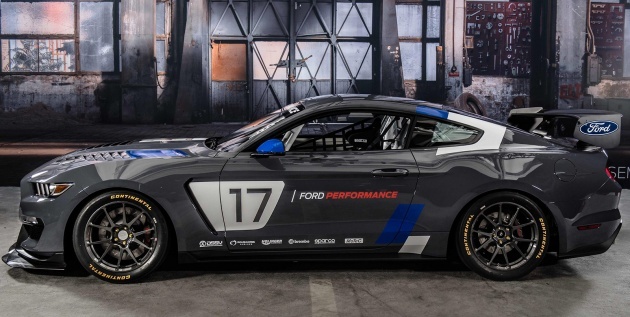 The Mustang GT4 is equipped to compete and win on tracks around the globe, and we expect it to be as popular with racers as its production sibling is with consumers,” said David Pericak, global director of Ford Performance. The Mustang GT4 is equipped with a naturally-aspirated 5.2 litre V8 racing engine specifically tuned for GT4 competition. The race engine was engineered, validated and built by Ford Performance in partnership with Roush Yates Engines. Chassis features on the Mustang GT4 include Dynamic Suspension Spool Valve (DSSV) dampers from Multimatic for advanced predictability, accuracy, repeatability and ultimate vehicle control, Ford says. There are also rear lower control arms designed specifically for coil-over springs and front/rear stabiliser bars from Multimatic. At each corner are lightweight forged alloy wheels from Forgeline as well as rotors and six-piston calipers from Brembo. Aerodynamic enhancements on the Mustang GT4 include a rear wing, the design of which was derived from lessons learned by the Ford GT racing program, front splitter, hood venting, diveplanes and rear diffuser. 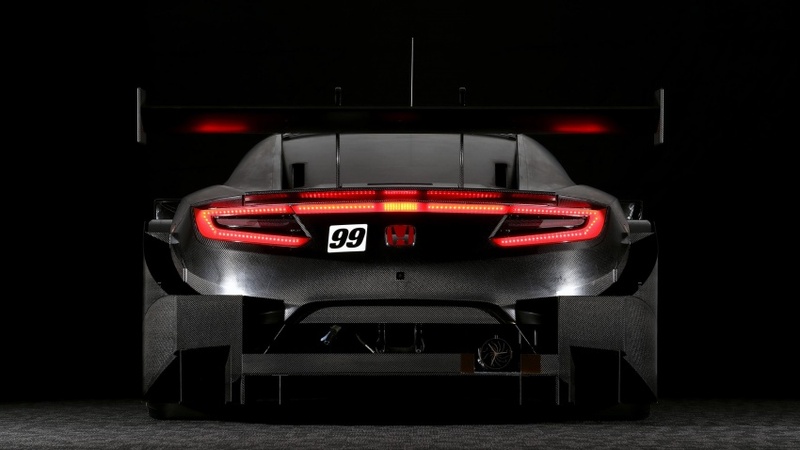 Inside, the global race car carries a full FIA-compliant roll cage and race-oriented dash logger from MoTeC. 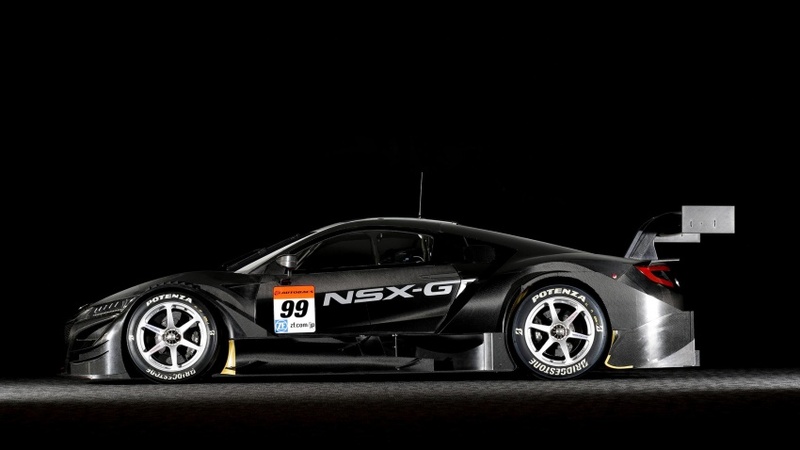 It will be quite a sight, the ‘Stang on track with the usual European GT racing suspects.